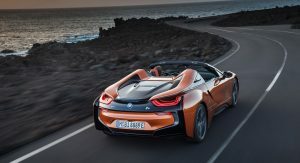 The third member of the BMW ‘i’ family, the i8 Roadster, will go on sale across the United States in just a few weeks. 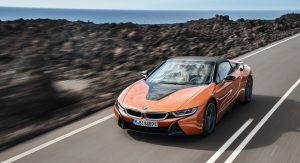 According to a document shared by BMWBlog, it will have a starting price of $164,295, including the $995 destination charge, or about $20,000 more than its fixed roof sibling. 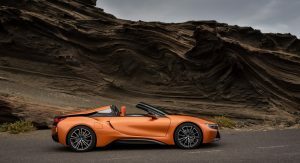 Among its standard features, the new BMW i8 Roadster is said to get 20-inch dual-tone alloy wheels, heated seats and a head-up display, but if you’re looking for the coveted laser headlights, then get ready to spend another $6,300 on them. 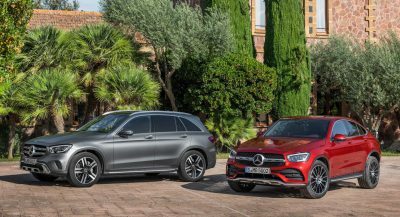 The black brake calipers and ceramic controls are another $2,500, and the optional colors carry a $1,800 premium, so a properly equipped model will cost some $175,000 or more. 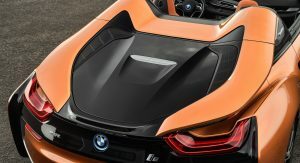 Just like the latest i8 Coupe, the new i8 Roadster uses an updated plug-in hybrid powertrain, which combines a 1.5-liter three-cylinder engine with an electric motor. 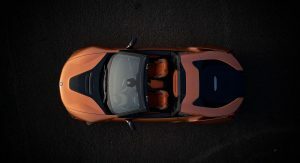 The total output produced by the assembly is 374hp, which allows the open-top variant to cover the 0-60mph (0-96km/h) sprint in 4.4sec. 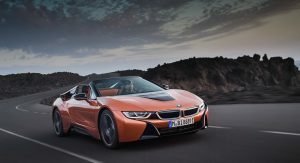 Top speed is identical in both cars – 155mph (250km/h), but the i8 Coupe is 0.2sec faster to 60mph (96km/h). As per NEDC, the BMW i8 Roadster can travel for up to 33 miles (53km) on electric power alone, at speeds of up to 65mph (105km/h), or 75mph (120km/h) in the eDrive mode. it amazes me what companies can get away with design wise if they are popular. that ridiculous rear bumper design still gets a pass. What’s worse is that they can sell it to fools at the price. I want one in all black, inside and out. It’s a hideous plastic mess. Makes a 1990s Pontiac Firebird look like a Duesenberg. Way too ugly, it’ll be a sales failure. 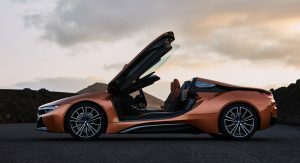 When it was new, it got by on being different, an electric supercar alternative. 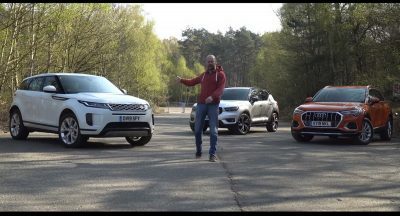 Except that the “supercar” promise made by its looks and price tag never materialized and the novelty of the entire thing has long worn off. Why invest any more money making a targa version of a largely unpopular and expensive sports car is beyond me.